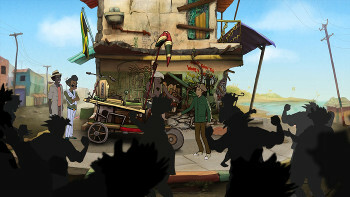 In Bolt Riley become a Jamaican Reggae legend in an adventure game co-designed by Corey and Lori Cole (Creators of Quest for Glory series). Is there anything to not love about this one? They are looking to get $120,000 with 30 days to go as they sit on $5,500+, I hope they hit it as I don't know of a game quite like this. The game is from the same developer who made Star Shipping, so they have a proven track record which should also boost their trust. What do you think boys and girls? I ike the graphics very much!